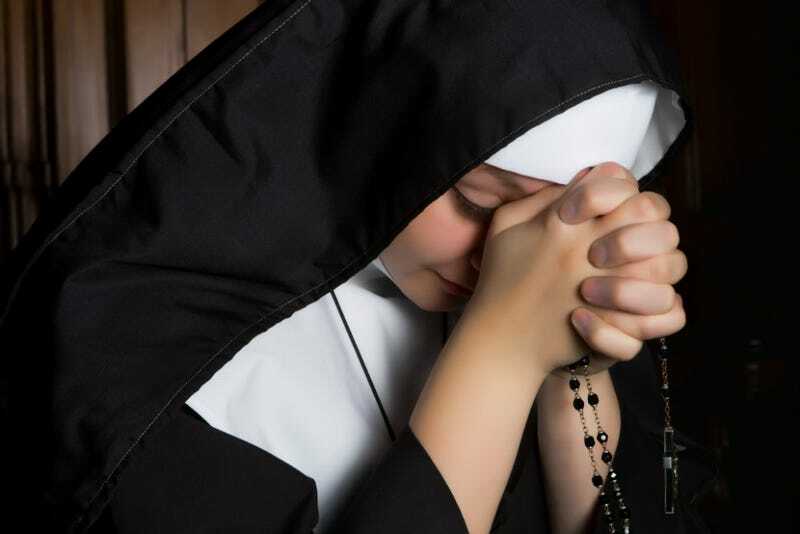 The Local, an English-language Italian news website, reports that according to the newspaper Il Gazzetino, the nun, whose name and age have not been revealed, complained of severe stomach pains and was taken to the Bartolomeo Eustachio hospital in San Severino Marche. She underwent an ultrasound, which revealed there was a baby in there. She gave birth a few hours later to a baby boy. He's fine. Everyone's fine. A little confused, probably, but fine. This time last year, in virtually the same story, a nun named Roxana Rodriguez living at a convent in Campomoro went to the hospital with stomach pain and then—whoopsy daisy—gave birth to a baby boy. She named him Francesco, after the Pope. She also mentioned she'd gone back to her home country of El Salvador to renew her passport and ran into an old boyfriend. Nuns, much like the stars, are just like you and I. She later left the convent. The convent where the newest Nun Mom lived hasn't yet released a statement, but The Local notes that according to one paper, her fellow sisters have expressed an interest in caring for the child.